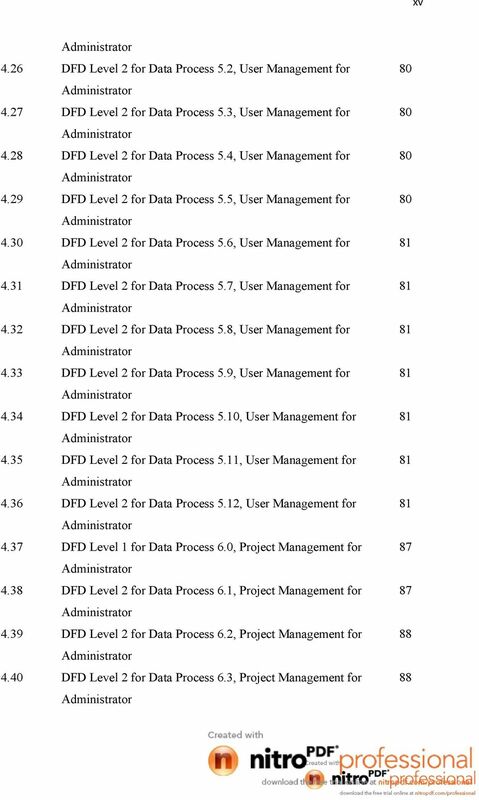 Download "JOB AGENT MANAGEMENT SYSTEM LU CHUN LING. 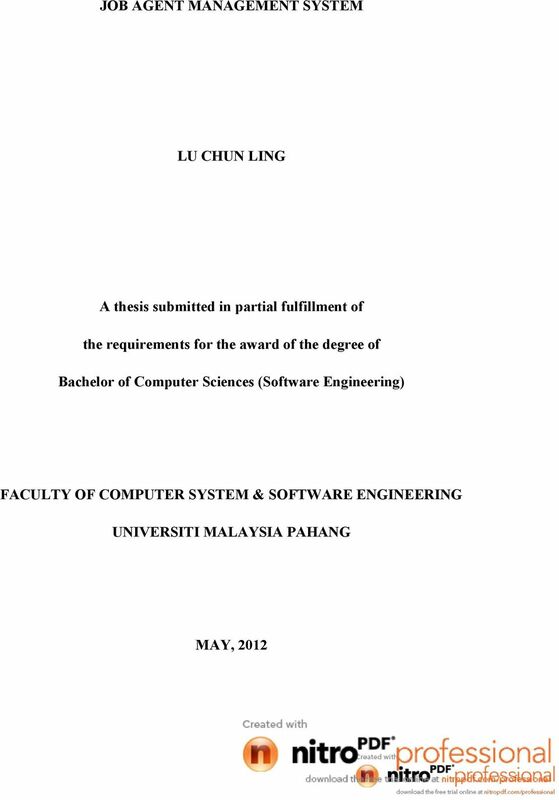 A thesis submitted in partial fulfillment of. 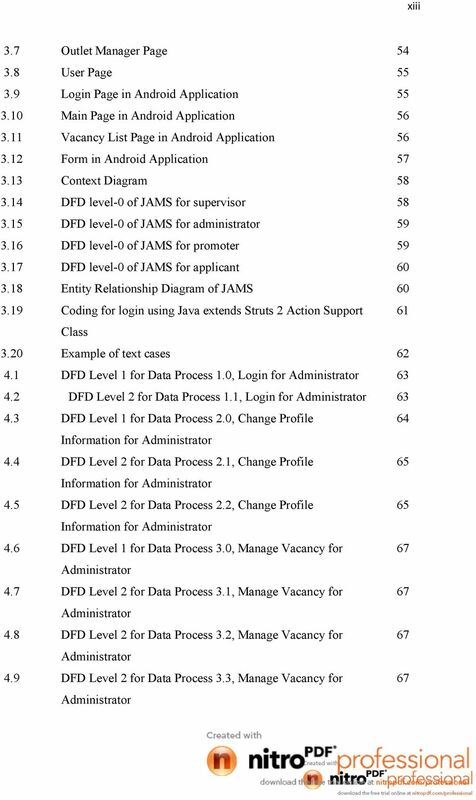 the requirements for the award of the degree of"
2 v ABSTRACT Job Agent Management System (JAMS) is an online based management system for job agent company, Epromode Sdn Bhd. Data in the system can be accessed through web browser in the market or Android application that specially developed for JAMS. It is a software solution to solve the problem of project management as well as human resource management in Epromode Sdn Bhd. The main problem faced by Epromode Sdn Bhd is the speed and efficiency of main branch to update project status in different branches, especially promoter hired status for each project. Besides that, it is too much paper work in the current manual system that increases the cost of material resources as well as cost of human resources if too much overtime working hours by staff. The objectives are to create JAMS are to develop a computerized and efficient management system to replace their current system. Besides that, it is used to keep information of projects and human resources of Epromode Sdn Bhd in a more manageable way, in order to reduce problems that might occur from human error when done manually. 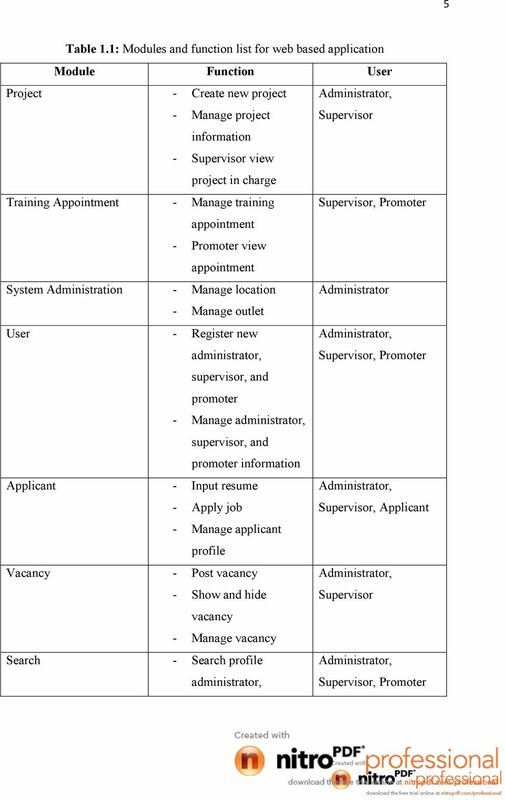 JAMS have four types of user, which are administrator, supervisor, promoter, and applicant. All the information is stored in database and can be accessed by using web browser or Android application through internet connection. 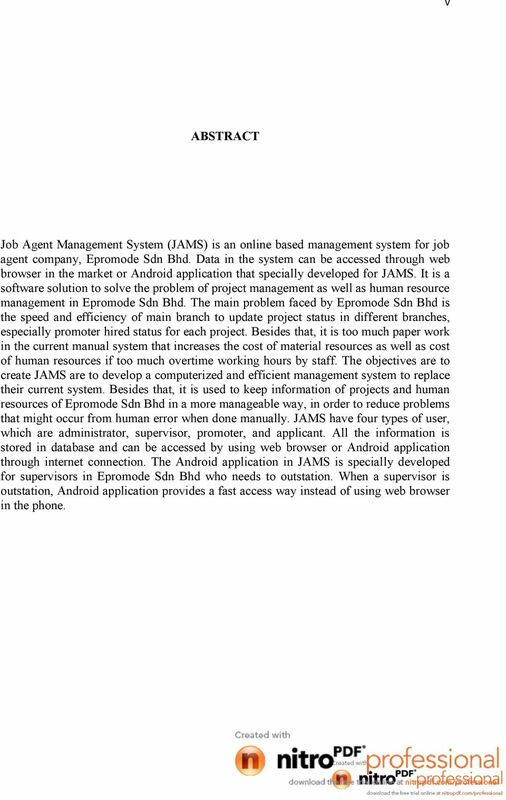 The Android application in JAMS is specially developed for supervisors in Epromode Sdn Bhd who needs to outstation. When a supervisor is outstation, Android application provides a fast access way instead of using web browser in the phone. 3 vi ABSTRAK Job Agent Management System (JAMS) adalah sistem pengurusan berasaskan online untuk syarikat ejen pekerjaan, Epromode Sdn Bhd. 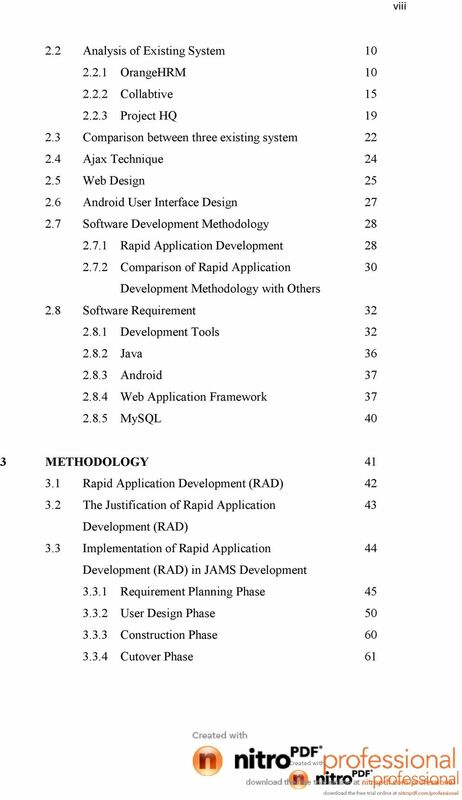 Data dalam sistem boleh diakses melalui pelayar web di pasaran atau Android aplikasi yang khas untuk JAMS. Ia adalah satu perisian untuk menyelesaikan masalah pengurusan projek serta pengurusan sumber manusia di Epromode Sdn Bhd. Masalah utama yang dihadapi oleh Epromode Sdn Bhd adalah kelajuan dan kecekapan cawangan utama untuk mengemaskini status projek di cawangancawangan yang lain, terutamanya status mengupah promoter bagi setiap projek. Selain itu, sistem manual yang digunakan sekarang memerlukan kertas kerja yang banyak, ini akan meningkatkan kos sumber bahan serta kos sumber manusia jika kakitangan terlalu banyak berkerja lebih masa. Objektif membuat JAMS adalah untuk menwujudkan sistem pengurusan berkomputer dan bercekapan untuk menggantikan sistem manual yang digunakan sekarang. Selain itu, JAMS digunakan untuk menyimpan maklumatmaklumat projek dan sumber manusia Epromode Sdn Bhd dengan cara yang lebih terurus, dan ini dapat mengurangkan masalah yang mungkin berlaku daripada kesilapan manusia apabila diuruskan secara manual. JAMS mempunyai empat jenis pengguna, iaitu pentadbir, penyelia, promoter, dan pemohon. Semua maklumat adalah disimpan dalam pangkalan data dan boleh diakses dengan menggunakan pelayar web atau aplikasi Android melalui internet. Aplikasi Android untuk JAMS adalah dibuat khas untuk penyelia di Epromode Sdn Bhd yang perlu menjalankan tugas di luar pejabat. Apabila penyelia di luar pejabat, aplikasi Android adalah cara akses yang lebih cepat berbanding denagan menggunakan pelayar web di dalam telefon. 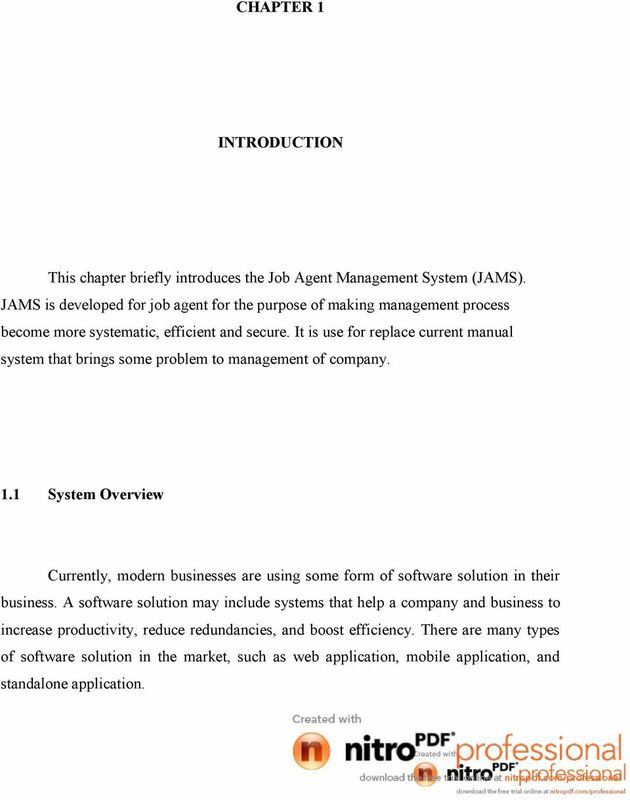 16 CHAPTER 1 INTRODUCTION This chapter briefly introduces the Job Agent Management System (JAMS). 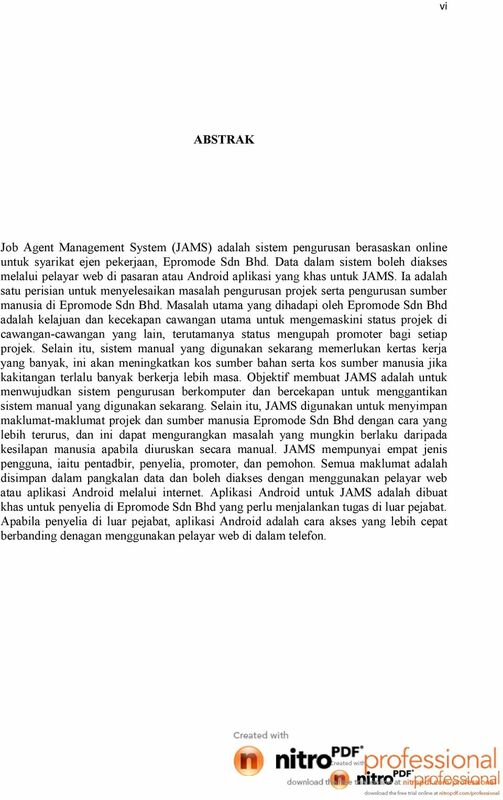 JAMS is developed for job agent for the purpose of making management process become more systematic, efficient and secure. It is use for replace current manual system that brings some problem to management of company. 1.1 System Overview Currently, modern businesses are using some form of software solution in their business. A software solution may include systems that help a company and business to increase productivity, reduce redundancies, and boost efficiency. There are many types of software solution in the market, such as web application, mobile application, and standalone application. 17 2 Web application system is the one of the software solution widely used by modern business . 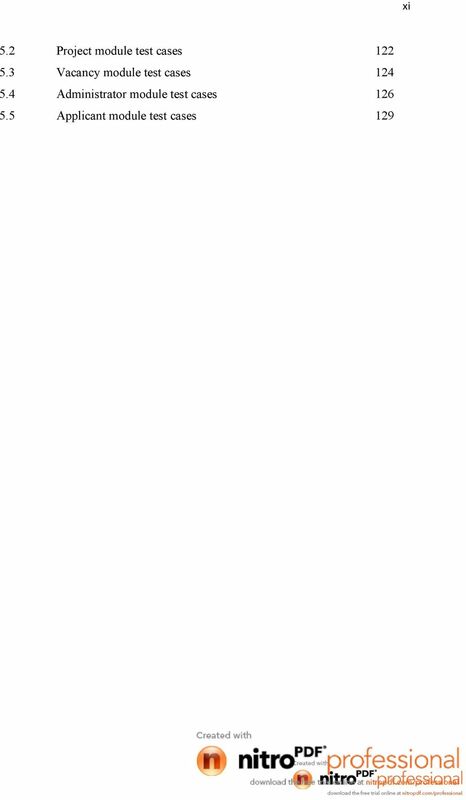 Web application is using web browser over the internet . It allows user to interact with the server, for example, survey, purchase products, send and receive . Moreover, some new technologies like AJAX technology makes web application become more powerful . Besides that, with mobile technology today, interaction with the server not only can be done by web browser, but mobile devices . Mobile device is more flexible compared to computer or laptop . Instead of using browser, mobile device can interact with the server using their own mobile application . Compare to web browser, mobile application provides a way which faster access to system . Smart phone like Android are widely used among people . It makes mobile phones and tablets become a trend in business field . Thus, such is the reason of the development of this system. This system, called Job Agent Management System (JAMS) is developed for job agent for the purpose of making management process become more systematic, efficient and secure. Epromode Sdn Bhd is a job agent company for promoter jobs. The main business in this company is handling promotion project from their clients and matches promoter to the promotion project. There are variants types of promotion projects in their business, such as road show, fair, and sampling at shopping mall. Epromode Sdn Bhd has branches in various locations and each branch has executive and supervisor to handler project. needs to find out promoter to work for each project. If promoter has no experience for a project, a training session will be given by supervisor. The current system used by Epromode Sdn Bhd is manual systems that use paperwork to record their promoter s profile information and training appointment. All new projects and jobs will be informed to supervisors in different location through or phone call. 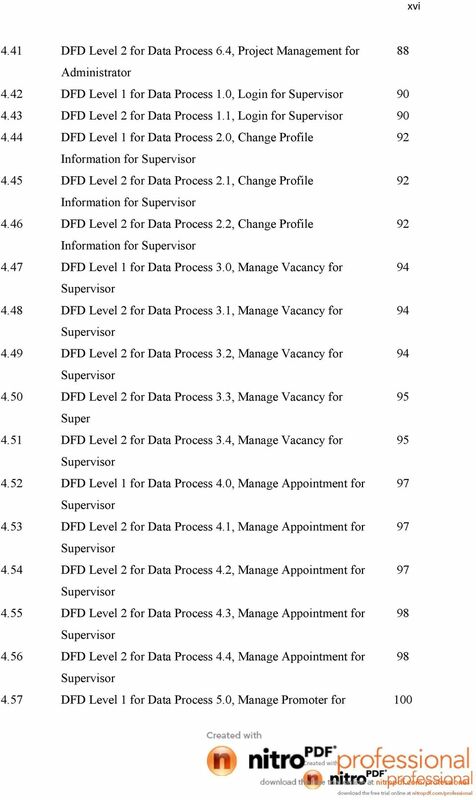 Therefore, there is no well documented data to manage all these projects, jobs and promoters profile. 18 3 1.2 Problem Statement Currently, there are two main problems are faced by Epromode Sdn Bhd. The main problem face by Epromode Sdn Bhd is the speed and efficiency of main branch to update project status in different location, especially promoter hired status for each project. 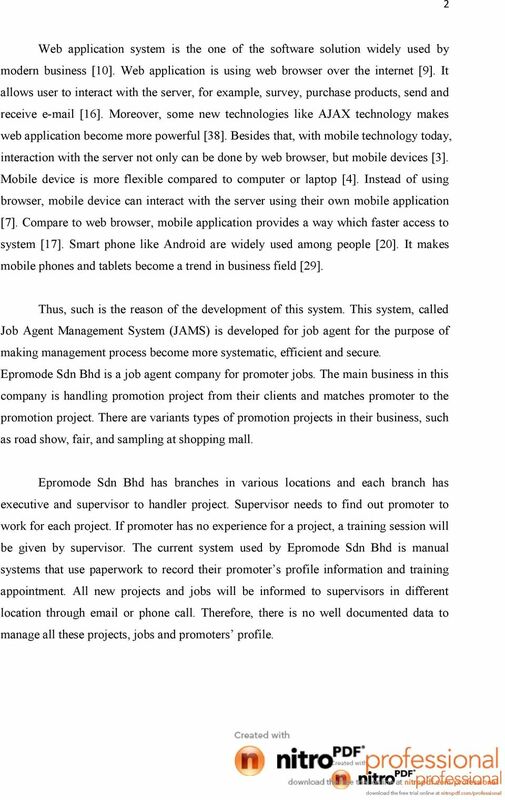 Epromode Sdn Bhd have more than ten branches, manager can only obtain the latest project status, especially the status of employed promoter for each project, by phone call or from supervisor in different location one by one. This makes staff in main branch spend considerable amount of time updating the entire project status. 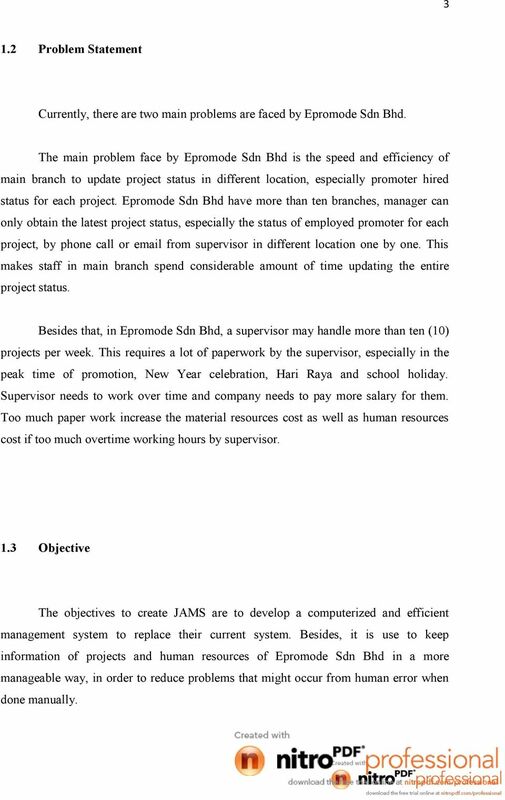 Besides that, in Epromode Sdn Bhd, a supervisor may handle more than ten (10) projects per week. This requires a lot of paperwork by the supervisor, especially in the peak time of promotion, New Year celebration, Hari Raya and school holiday. needs to work over time and company needs to pay more salary for them. Too much paper work increase the material resources cost as well as human resources cost if too much overtime working hours by supervisor. 1.3 Objective The objectives to create JAMS are to develop a computerized and efficient management system to replace their current system. Besides, it is use to keep information of projects and human resources of Epromode Sdn Bhd in a more manageable way, in order to reduce problems that might occur from human error when done manually. 19 4 1.4 System Scope This project is designed and developed for Epromode Sdn Bhd. 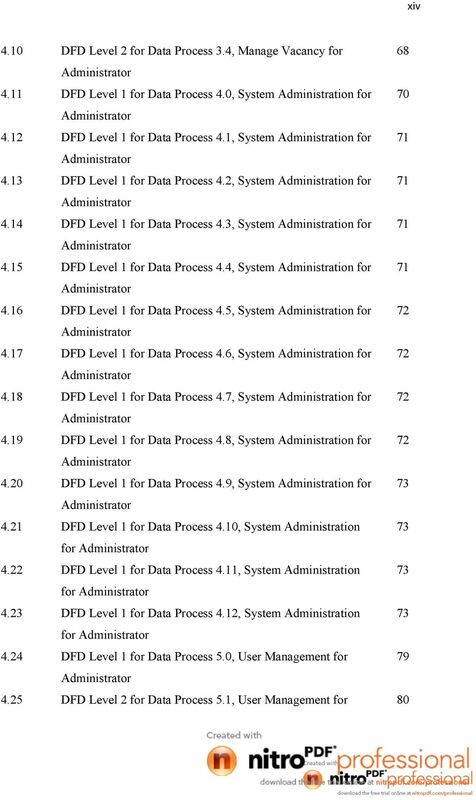 The target users of this system are Epromode administrators, supervisors, promoters, and applicants. 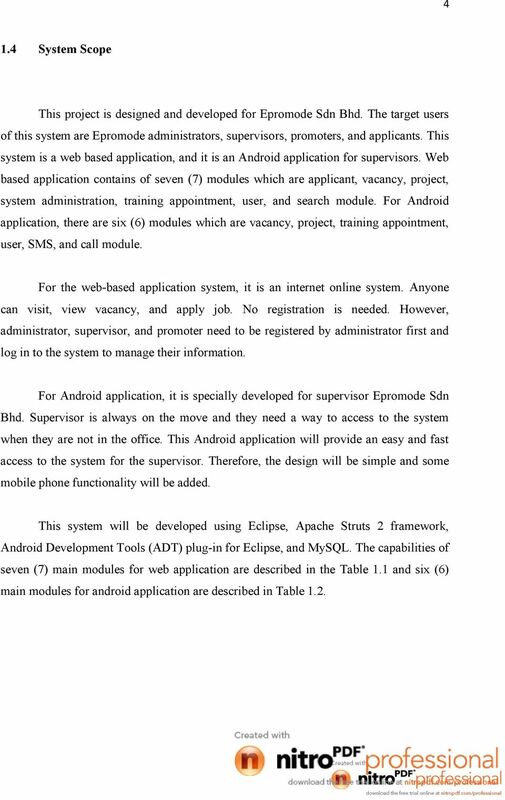 This system is a web based application, and it is an Android application for supervisors. Web based application contains of seven (7) modules which are applicant, vacancy, project, system administration, training appointment, user, and search module. For Android application, there are six (6) modules which are vacancy, project, training appointment, user, SMS, and call module. For the webbased application system, it is an internet online system. Anyone can visit, view vacancy, and apply job. No registration is needed. However, administrator, supervisor, and promoter need to be registered by administrator first and log in to the system to manage their information. For Android application, it is specially developed for supervisor Epromode Sdn Bhd. is always on the move and they need a way to access to the system when they are not in the office. This Android application will provide an easy and fast access to the system for the supervisor. Therefore, the design will be simple and some mobile phone functionality will be added. This system will be developed using Eclipse, Apache Struts 2 framework, Android Development Tools (ADT) plugin for Eclipse, and MySQL. 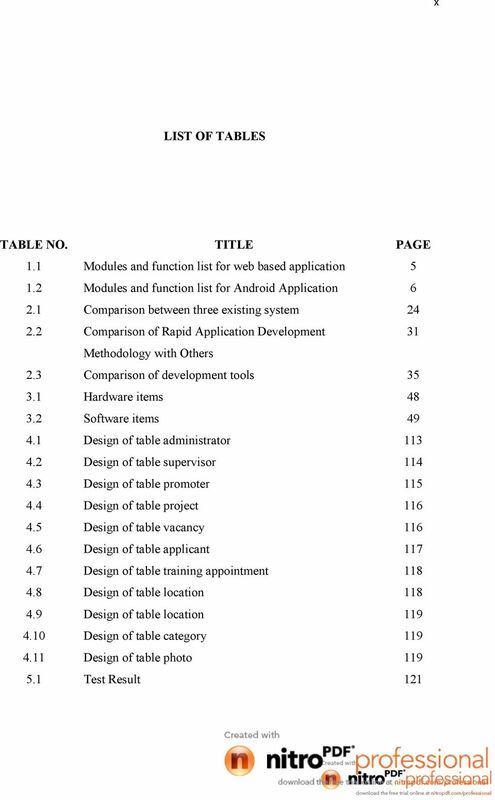 The capabilities of seven (7) main modules for web application are described in the Table 1.1 and six (6) main modules for android application are described in Table 1.2. 22 7 1.5 Thesis Organization This thesis is divided into six (6) chapters and each chapter is devoted to discuss different issue in the project. 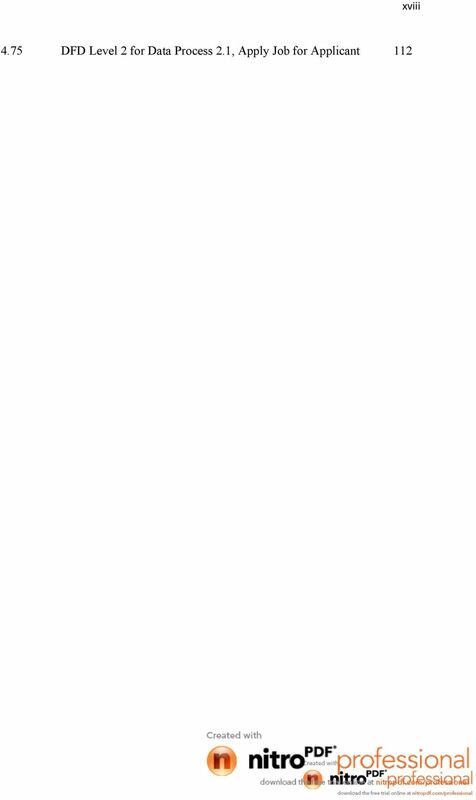 Below is a summary of the content for each chapter: i. Chapter 1 Introduction to the project is presented along with the project s problem statement, objectives of the project and scopes of the project. ii. Chapter 2 Research and literature review related to the project is presented. iii. Chapter 3 Project analysis, design and methodology are presented. iv. 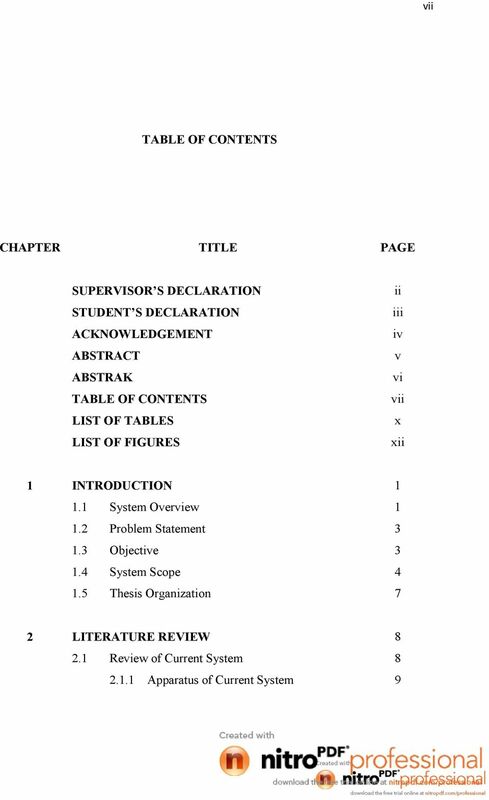 Chapter 4 Discuss on the system implementation phase. 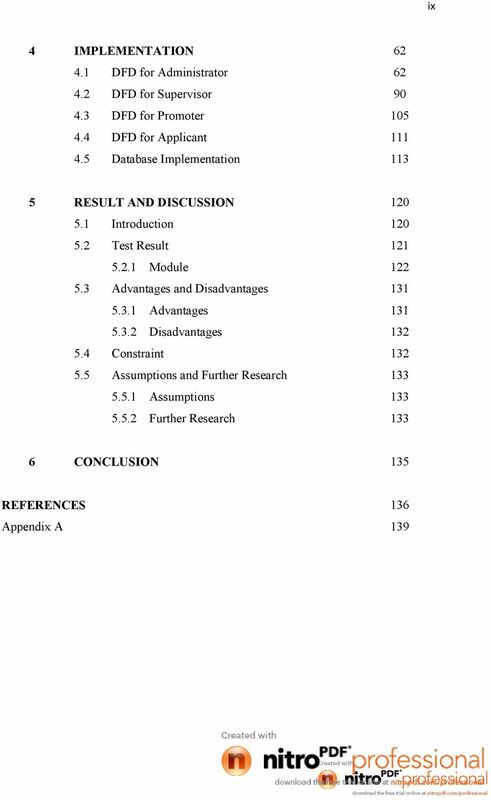 v. Chapter 5 The testing result of the system and discussion on the result are presented. vi. Chapter 6 Summary of the project is presented. 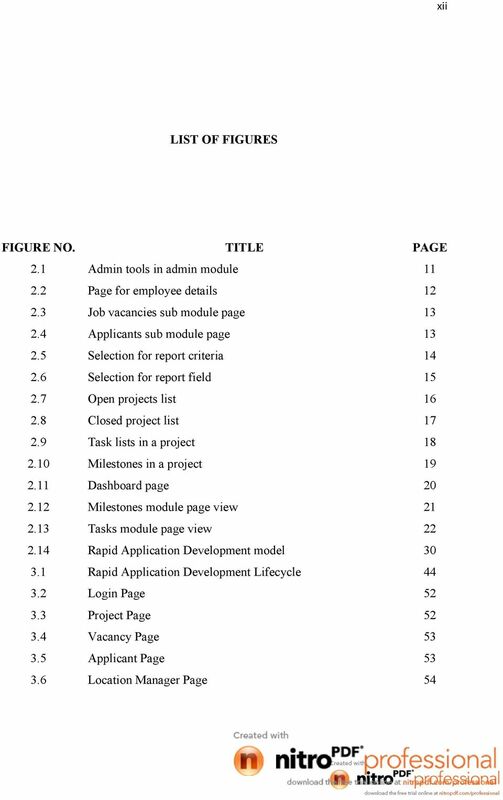 23 CHAPTER 2 LITERATURE REVIEW This chapter discusses about the literature review based on the development of Job Agent Management System (JAMS). Some existing system that related to JAMS had been reviewed and techniques that will be used in the development had been researched. 2.1 Review of Current System The current system used in Epromode Sdn Bhd is a manual system, which means that majority of the processes on managing work flow is using paperwork. Since the supervisors in different places are using paperwork to store all promoter profiles, the promoter profile in the main branch take time and effort to be updated with the latest information. 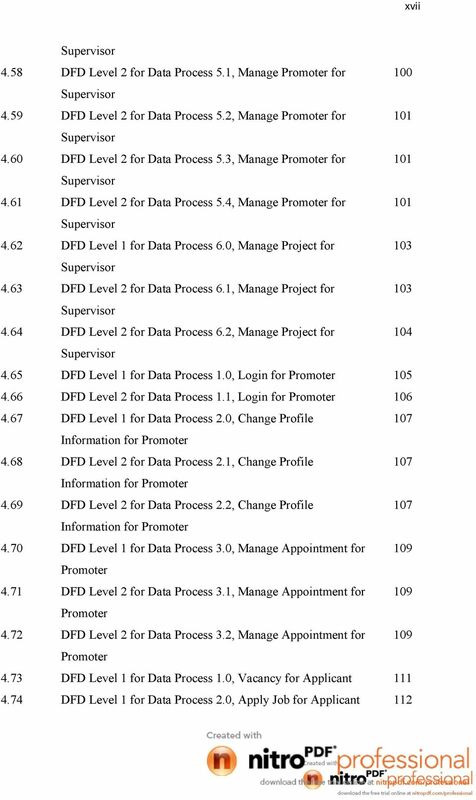 If the supervisor needs to find out a promoter profile, they need to check it one by one, and this is time consuming. 24 9 For the projects in charged, supervisor will been informed through or phone call. It is quite hard to find out the previous project records and there are no project records if phone call is used to inform a project in charge. When there is a promoter with no experience to a job, there is a training session for the promoter. The training appointment is managed by the supervisor using a log book for recording. This is not secured and all the training appointments will be lost if the log book is lost. Any changes to the training appointments need to be referred to the log book, and check all the appointment to avoid time crash. Overall system flow for Epromode Sdn Bhd is using traditional management system Apparatus of Current System Epromode Sdn Bhd is using tools like registration form, log book, pen, and paper in their manual system. Registration form is for registering a new promoter by the supervisor and a copy of a registration form will be sent to main office. For the log book, it is kept by the supervisor for recording the training appointments. PENGENALAN KEPADA KOMPUTER KURSUS AUTOMASI PEJABAT (ASAS) Disediakan oleh Unit Latihan, Penerbitan dan Audio Visual Bahagian Teknologi Maklumat & Komunikasi Kementerian Kesihatan Malaysia Apa itu Komputer? UNIVERSITI PUTRA MALAYSIA CURRENT TRENDS AND PRACTICES IN HUMAN RESOURCE MANAGEMENT: A CASE STUDY IN YTL POWER SERVICES SDN. BHD.